Anyone needing to know how each state regulates APs will find Ancillary Providers in Health Care: A Primer to be a useful starting point for their research. The increase in the number of insured individuals due to the Affordable Care Act has led hospitals and medical practices to increase their use of non-physician clinicians to lessen the burden created by the increase. Nurse practitioners and physician assistants are increasingly deployed to address a host of issues, from the inadequate number of primary care physicians and underserved populations with greater needs for primary care services to demands for cost effectiveness and greater patient satisfaction. There are major differences between state laws governing nurse practitioners and physician assistants. 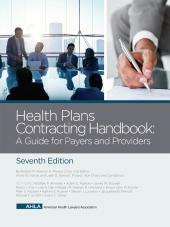 Health systems, other health care facilities, and medical practices need to understand these differences if they wish to make use of these and other ancillary providers (APs). 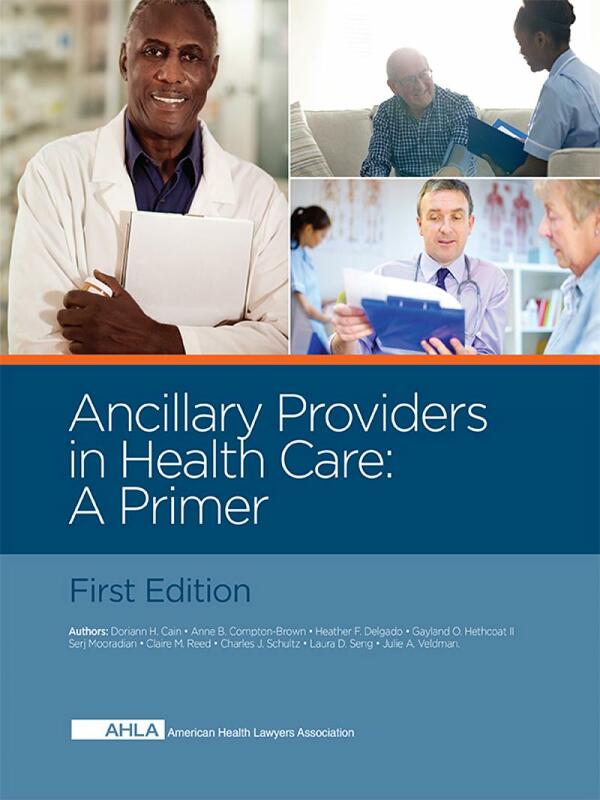 Ancillary Providers in Health Care: A Primer can help guide you as you advise your clients on their state's regulations. Doriann H. Cain is an associate in the Indianapolis office of Barnes & Thornburg LLP where she is a member of the Healthcare Department. She focuses her practice on transactional and regulatory matters, including fraud and abuse laws, Medicare and Medicaid reimbursement matters and professional licensure issues. She also counsels clients on HIPAA compliance and has experience in assisting clients in responding to privacy and security breaches. Anne B. Compton-Brown is a law clerk in the Healthcare Department in Barnes & Thornburg LLP's Chicago office. Ms. Compton-Brown is a third year law student at Loyola University Chicago School of Law where she is Editor-In-Chief of the Annals of Health Law Journal, a Beazley Institute for Health Law and Policy Fellow, and the Business Director of the Moot Court Executive Board. Heather F. Delgado is a partner in Barnes & Thornburg LLP's Chicago office and a member of the firm's Healthcare Department. Ms. Delgado practices exclusively in the healthcare transactional, regulatory and compliance areas. Ms. Delgado's experience includes the representation of healthcare providers, including hospitals, health systems, specialty hospitals, ambulatory surgery centers, multi- and single-specialty medical practices, and a wide variety of healthcare entrepreneurs. Gayland O. Hethcoat II is corporate counsel for Dignity Health, based in its corporate office in Pasadena, California. In this role, Mr. Hethcoat provides legal and compliance counseling on all aspects of Dignity Health hospital and facility operations, including physician services, vendor relationships, and patient care matters. Mr. Hethcoat is reachable at gayland.hethcoat@dignityhealth.org. The views expressed in Mr. Hethcoat's contribution are solely his own and not to be attributed to Dignity Health or any of its affiliates. Serj Mooradian is an associate in the Chicago office of Barnes & Thornburg LLP and a member of the Healthcare Department. He concentrates his practice on counseling healthcare clients on a range of federal and state regulatory and compliance issues, professional licensure matters, agreements, and transactional and corporate matters. Claire M. Reed is a partner in Barnes & Thornburg LLP's Chicago office and a member of the firm's Healthcare Department. Ms. Reed concentrates her practice in representing healthcare providers in regulatory and transactional matters. She advises clients in regulatory compliance, licensing matters, Medicare billing and reimbursement, professional licensure actions, strategic alliances, state agency administrative actions and general healthcare and corporate governance matters. Charles J. Schultz is a partner in the Chicago office of Barnes & Thornburg LLP and a member of the firm's Healthcare Department. He concentrates his practice on representing healthcare providers in all of their transactional business, tax and healthcare regulatory law needs. Mr. Schultz serves as counsel for businesses and organizations for a wide-ranging spectrum of healthcare services and healthcare providers, including provider organizations, pharmacy (retail, specialty and compounding) wholesale drug distributors, and national physician practice management companies. Laura D. Seng is a partner in Barnes & Thornburg LLP's South Bend, Ind., office and is the Chair of firm's national Healthcare Department. Ms. Seng concentrates her practice in regulatory compliance, transactional matters and medical-legal business issues for healthcare entities and individual providers. Ms. Seng represents hospitals, physicians, multi-specialty clinics and healthcare organizations, as well as laboratories, pharmacies and other healthcare providers. Julie A. Veldman is an associate in the Columbus office of Barnes & Thornburg LLP, and a member of the firm's Healthcare Department. Ms. Veldman concentrates her practice in advising healthcare providers in regulatory compliance and corporate and transactional matters. Ms. Veldman represents a wide-range of clients in the health care arena, including pharmacies, wholesale drug distributors, physician practice management companies, hospitals and other provider organizations.